The 450,000 square foot expansion of the St. 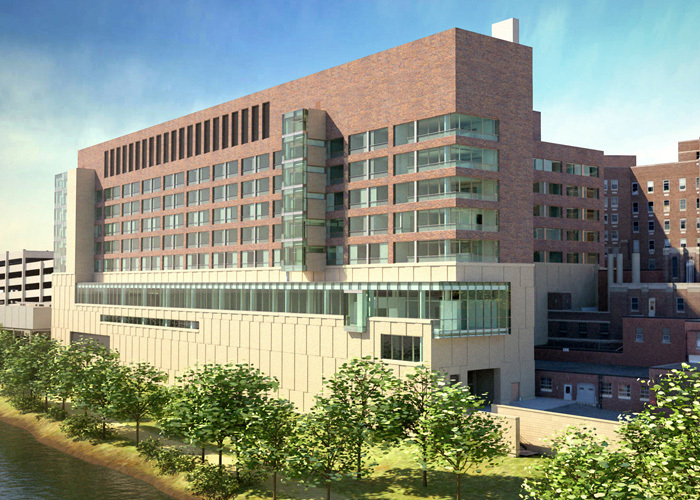 Cloud Hospital consists of a 10-level addition with mechanical penthouse to the east of the original 1926 building, and the creation of a new entry at the northeast corner. Design of the East Addition involved solving several complex structural challenges that included moving an existing cooling tower, tying into and expanding the existing central plant, spanning over two existing below-grade mechanical tunnels, adding onto many different vintages and geometries of existing buildings, retrofitting of one or two existing steel-framed roof areas due to increased loads, and underpinning of the existing foundations in several areas. Because the existing grade slopes across the site, significant retaining walls are built into the building. The Northeast Entry consists of one level below grade and three levels above, creating a new main entrance with canopy and lobbies. 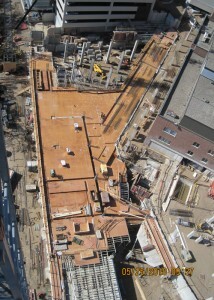 Below grade is a portion of the loading dock area, storage space, and new tunnels that connect to the existing building. 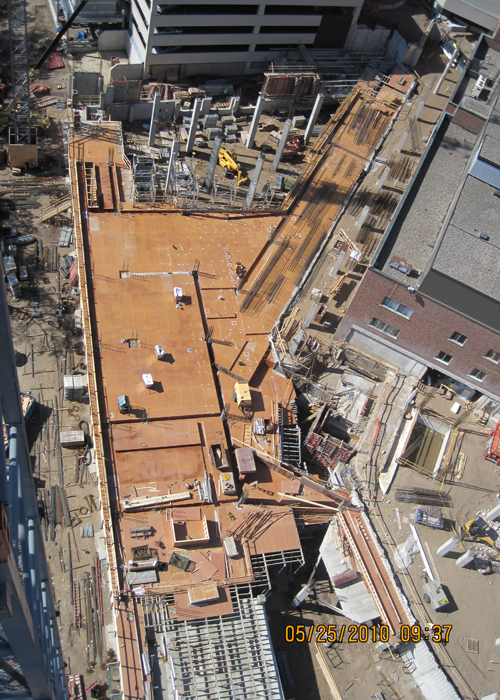 The majority of the building areas use a cast-in-place flat slab concrete floor system, which maximizes the amount of available space for mechanical and medical systems. Cast-in-place concrete columns and shear walls provide vertical and lateral support to the building.